Changalavatta is known for its ornamental beauty. This lamp is often referred to as Greek Lamp. It contains an oil tank with an attached ladle. 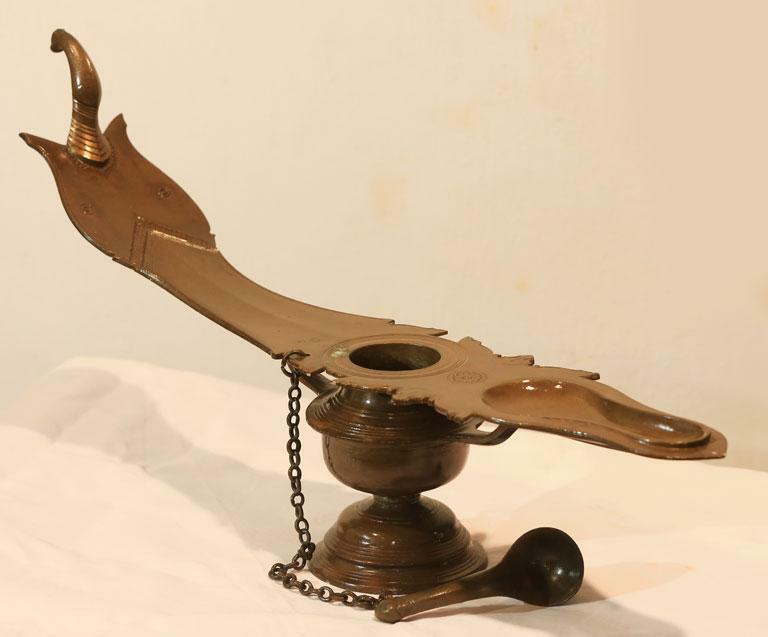 The ladle is used to replenish the lamp with oil.